DME has a complete range of Ultraform Finishing & Polishing Equipment and instruments to achieve flawless finishes on Moulds. Ultraform Ultrasonic Systems using Diamond Files, Diamond Stones, Ruby Stones, Ceramic Stones and Lapping Tools can be utilized in this time saving system. 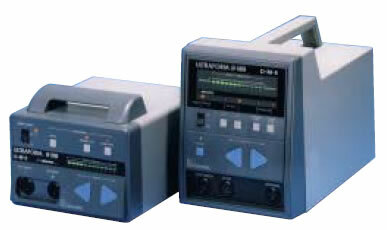 The Minitor D Series system offers the latest in polishing technology for the ultimate in flexibility and accuracy. 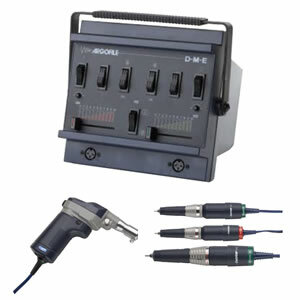 DME offers Power Pack, Accessories, Belt Sander, Profiler “R”, Rotary Handpieces, Motors, Accessory Heads, Minitor Files, Minitor Riffles and Felt Bobs. 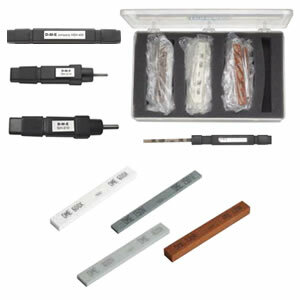 The stones are sized for use with DME Stone Holders. They are available in three types of stones: VITRIFIED for general purpose ﬁnishing, RESIN for ﬁnishing EDM surfaces and ALUMINUM OXIDE for polishing. DME abrasive stones can be used on pre-hardened, hardened and soft mold and die steels. 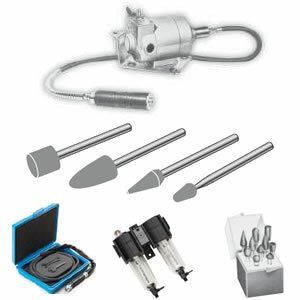 DME offers supplies a range of quality Polishing Grinders and Mounted Points. This includes the Super Flex Electric Hand Grinder, the Heavy Duty Foot Speed Controller, the Air Grinder, the Filter Lubricator, the Tungsten Carbide Rotary Cutters and Mounted Points. DME supplies a range of quality Rifflers. This includes Heavy Duty Mouldmakers Rifflers, Silversmiths Rifflers, Quick Change Rifflers and Die Sinkers Rifflers. 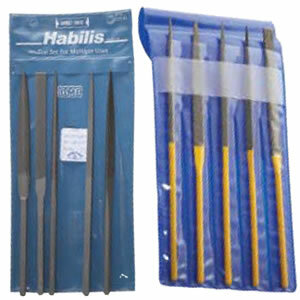 DME Diamond Needle Files are specially made for mouldmakers. They feature efﬁcient cutting action with only the slightest pressure and provide long tool life. The Diamond Needle Files are 51⁄2” long with approximately 23⁄4” diamond surface. 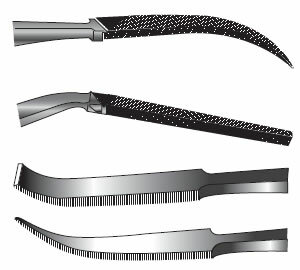 The round shanks are knurled to prevent slippage. 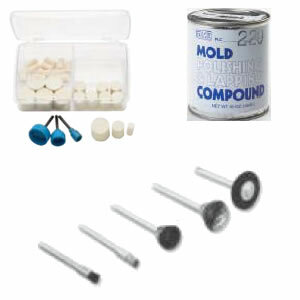 DME supplies a range of quality Polishing accessories, this includes the Felt Polishing Kit, Polishing Brushes, Mould Polish and Lapping Compound. Quality of mould or die ﬁnish is frequently an important factor in how a mould or die operates. 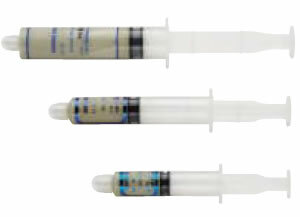 DME Diamond Compound is proven to produce the ﬁnest quality ﬁnish with considerable savings in time and labour. DME Diamond Compound contains no adulterants, nor non-graded, non-working diamond “ﬁnes”.